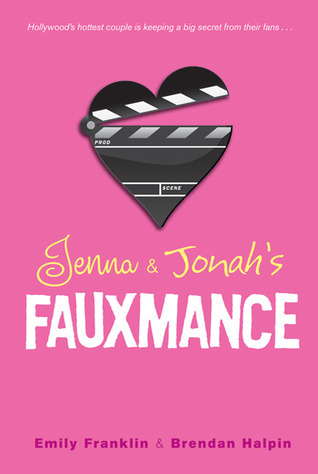 Fans of romance don’t need to look any further than the fauxmance brewing between teen idols Charlie Tracker and Fielding Withers-known on their hit TV show as Jenna and Jonah, next-door neighbors flush with the excitement of first love. But it’s their off-screen relationship that has helped cement their fame, as passionate fans follow their every PDA. They grace the covers of magazines week after week. Their fan club has chapters all over the country. The only problem is their off-screen romance is one big publicity stunt, and Charlie and Fielding can’t stand to be in the same room. Still, it’s a great gig, so even when the cameras stop rolling, the show must go on, and on, and on. . . . Until the pesky paparazzi blow their cover, and Charlie and Fielding must disappear to weather the media storm. It’s not until they’re far off the grid of the Hollywood circuit that they realize that there’s more to each of them than shiny hair and a winning smile. Well, this was different. Entering the lives of two tween stars hounded by the paparazzi and under the restraint of their family-friendly contracts, this little book gives us a glimpse into what it’s like to be a celebrity at such a young age and the pressures that come along with that. I wouldn’t call it a perfect read, but I did manage to get through it fairly quick. Still, I found that my enjoyment dipped in the second half, losing a lot of the spark that the two leads had in their earlier scenes. With the chapters alternating perspectives between Charlie and Aaron, it was easy to get to know both of them, yet also frustrating in that both of them were so closed off from one another, trading insults at every turn. With four years of their adolescent lives spent acting the way they were told to, supressing themselves in favour of keeping their brand alive, it was understandable and quite believable, but that didn’t stop their lives from being angsty. Aaron/Fielding or Jonah, or whichever name he was being called by, pushed a lot of the drama into Charlie’s life, acting as the catalyst in hopes of derailing a career he didn’t seem to want anymore. I could understand that. He wanted to be his own person, to make his own decisions, to be a normal teenager. We got a bit of his backstory—coming from a hardworking family, loving to expand his mind despite the media’s portrayal of him—but it could’ve gone a bit deeper. For some reason, a big chunk of the book is spent putting together a small Shakespeare production in an effort to prove themselves as actors. This part of the book, I just didn’t get, or at least I didn’t get why it took up so much page time. The fun was in the moments between Charlie and Aaron, not in seeing how well they could act. It wasn’t a bore, but it did detract from my love of the book. After chapters and chapters spent on the play, the ending just seemed to pop up due to external influences, rather than building towards something gradually. It satisfied me, and I guess that counts for something, but in the end, it’s not going to be one of my favourite romances. Fans of fluffy romance and tween-star hijinks.